So we've talked repeatedly how the shoddy security in most "internet of things" devices has resulted in increasingly-vulnerable home networks, as consumers rush to connect not-so-smart fridges, TVs and tea kettles to the home network. But this failure extends well beyond the home, since these devices have also resulted in historically-large DDoS attacks as this hardware is compromised and integrated into existing botnets (often in just a matter of minutes after being connected to the internet). Whether it's the ease in which a decidedly-clumsy ransomware attacker was able to shut down San Francisco's mass transit system, or the fact that many city-connected devices like speed cameras often feature paper mache security, you can start to see why some security experts are worried that there's a dumpster fire brewing that will, sooner rather than later, result in core infrastructure being compromised and, potentially, mass fatalities. If you ask security experts like Bruce Schneier, this isn't a matter of if -- it's a matter of when. "Even as the city asked residents not to dial 911 to ask about the sirens, more than 4,400 calls were received from 11:30 p.m. to 3 a.m. — twice the average number made between 11 p.m. and 7 a.m., Syed said. The largest surge came from midnight to 12:15 as about 800 incoming calls caused wait times to jump to six minutes, far above the city's goal to answer 90 percent of calls within 10 seconds. "This is yet another serious example of the need for us to upgrade and better safeguard our city’s technology infrastructure. It’s a costly proposition, which is why every dollar of taxpayer money must be spent with critical needs such as this in mind. Making the necessary improvements is imperative for the safety of our citizens." Of course while older, out-dated systems are certainly a problem, rushing to throw money at companies promising the "connected city of tomorrow in a box" isn't a panacea, either. 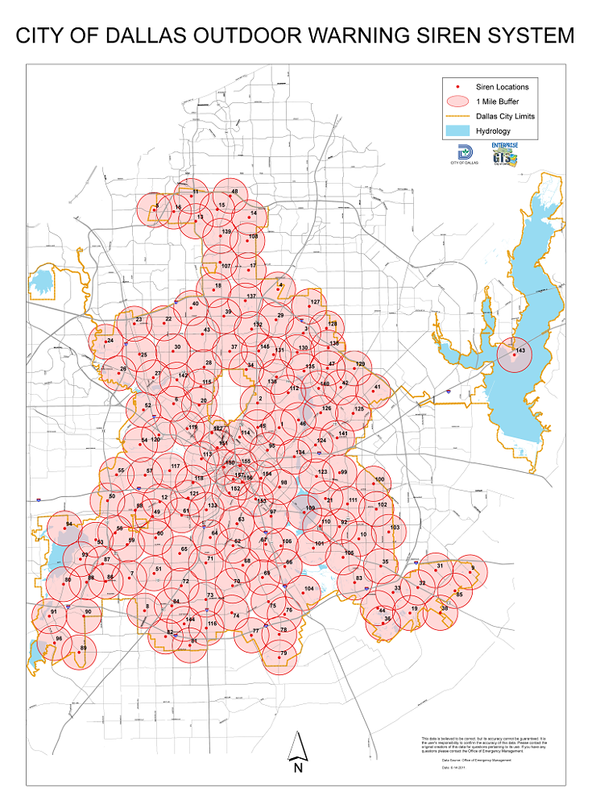 While it likely had nothing to do with the recent hack, AT&T has been advertising Dallas as the centerpiece of its "IOT" ambitions for the last few years, just one of countless companies rushing into the space in pursuit of new revenue and quarterly growth. The problem, again, is that many of these smart city solutions are from many of the same vendors for which security and privacy were an afterthought in the residential market. So yes, most cities are in desperate need of a technology and security upgrade, yet often lack the budgets to do so. You just hope that when these upgrades actually occur, they aren't sabotaged by the same superficial concern for privacy and security already plaguing the connected home market. That brings in the question of how these are setup. Access to one siren shouldn't give you free run of the entire system. These also should be in public areas where it isn't easy to mess with them. Kind of like traffic lights. The control box is right there, no guard needed because you kind of stand out breaking into the box on the street corner. We have built systems like this for a long time. Think about the phone system. Central office can ring your house phone, but you at home with your phone can't easily ring every phone on the network.